പി. ഗോവിന്ദപിള്ള രചിച്ച പൗലോസ് മാര്‍ ഗ്രീഗോറിയോസിന്‍റെ മതവും മാര്‍ക്സിസവും എന്ന ഗ്രന്ഥ പ്രകാശന ചടങ്ങില്‍ നടത്തിയ പ്രഭാഷണം. THIRUVANANTHAPURAM: An important strand of political and academic discourse in Kerala has been on the relationship between religion and Marxism. 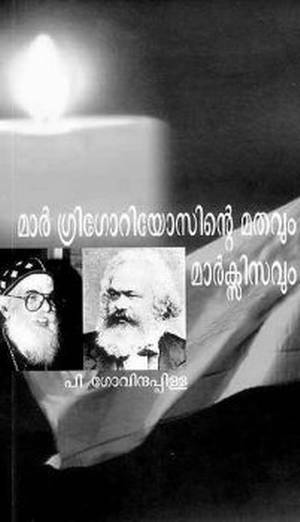 In a State where Marxism has cohabited with deep-rooted religiosity, the dialogue between the two had brought together theologians and Marxists, Dr. Paulose Mar Gregorios and E.M.S. Namboodiripad being two important names that come to mind. Of no less importance were the dialogues between the former and thinker and litterateur P. Govinda Pillai. As all those who treasure inspiring memories of the `Red Metropolitan’ observe the tenth anniversary of his death in 1996, on Friday, Govinda Pillai pays his tributes to his long-time argumentative companion with a book titled `Mar Gregoriosinte Mathavum Marxisavum’ (Gregorios’ Religion and Marxism). The book would be released here on Friday. Mar Gregorios was one of the global Indians of the last century. Fr. Paul Varghese, who was later consecrated as Metropolitan Paulose Mar Gregorios, was an adviser to the Ethiopian ruler Haile Selassie and functioned for long as the Delhi Metropolitan of the Malankara Orthodox Syrian Church. He used to be called the `Red Bishop’ by many both within and outside India. In his own words, his was `qualified’ support for socialism and he could not accept dialectical materialism or historical materialism, two of the main concepts underpinning the socialist ideology. But, on the international stage, he stood shoulder to shoulder with the liberation forces and the socialist camp along with two other famous Malayalis, M.M. Thomas and Bishop Paulose Mar Paulose of the Chaldean Church. 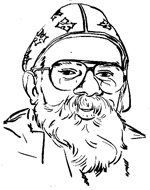 Govinda Pillai’s attempt is to survey Mar Gregorios’ life and work against the backdrop of the times in which he lived and to elucidate how he was in solidarity with Marxist-Leftist position on questions such as anti-colonial movements, globalisation, privatisation and liberalisation. He was opposed to secularism as a concept and even entered into a public dialogue with EMS on the subject in the late Eighties and early Nineties. His intellect traversed a great distance from linguistics to theology and from metaphysics to Marxism.